How do you improve standards of insulation, air-tightness and management of dampness in traditional properties? Homes and workplaces should be functional spaces where you can live and work comfortably. Increasingly, they also need to be energy efficient, satisfying the ever-growing demand for carbon reduction while retaining their distinctive character. Building Regulations require floors of most buildings to have high insulation levels, high compressive strength as well as impermeable barriers to prevent moisture migration. Although not essential, you can use insulation values as per Building Regulations as the goal for many floor system renovations incorporating underfloor heating. However, regulations can be a little more flexible for old buildings if there are justifiable reasons not to conform. When you are installing a new floor system, one option is to use a slab based on lime (Limecrete or Glasscrete) which is breathable (compared to those made of Ordinary Portland Cement). It’s possible to design a lime floor to meet modern insulation requirements which can therefore maximise the efficiency of under-floor heating (UFH). Preventing ground water penetration requires some form of capillary break. In conventional floor systems this is achieved by using an impermeable damp-proof membrane (DPM). Insulation in the form of modern, PIR boards made from petrochemicals is also often included. Use GEOCELL Foam Glass (Glasscrete) or Techniclay expanded clay (Limecrete) as a loose-fill sub base in traditional buildings. 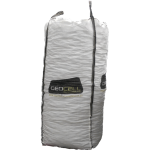 This offers a functional, durable and environmentally friendly solution compared to insulation materials made from petrochemicals. Furthermore, due mainly to the open pore structure of these aggregates, they have low capillary attraction to moisture. It is important to match the design of the limecrete to the needs of the building. Factors include the type of construction for both floor and walls, floor area and groundwater levels. We can advise on the thickness of each component of the floor system for your specific project. 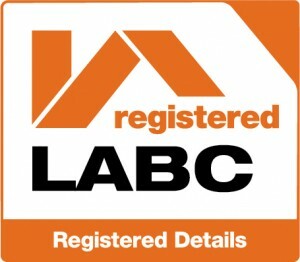 Mike Wye Limecrete and Glasscrete® are LABC registered floor systems. This website details the buildup of the various limecrete flooring options available. Use the menu above to navigate or click here for the Mike Wye website.